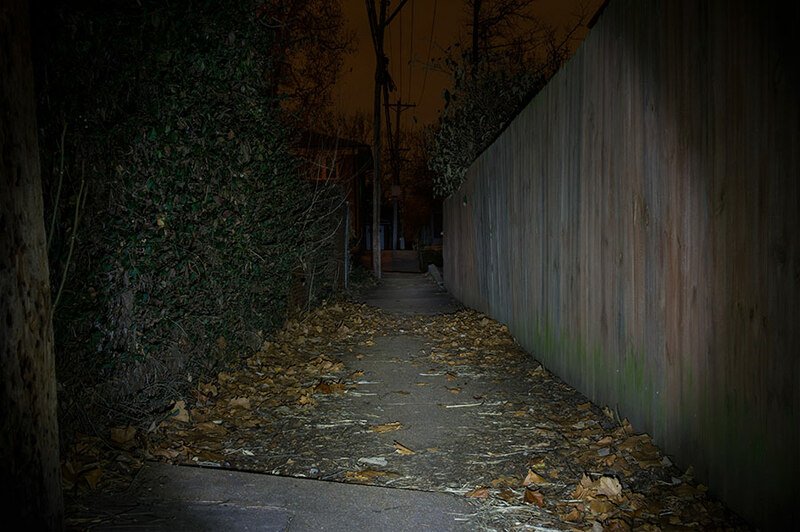 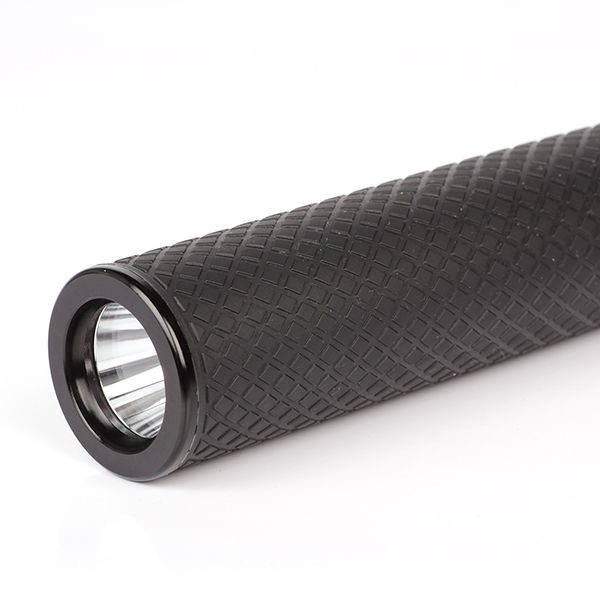 LED Flashlight - NEBO iPROTEC BAT-Light - 1,000 Lumens: Shown Illuminating City Sidewalk. 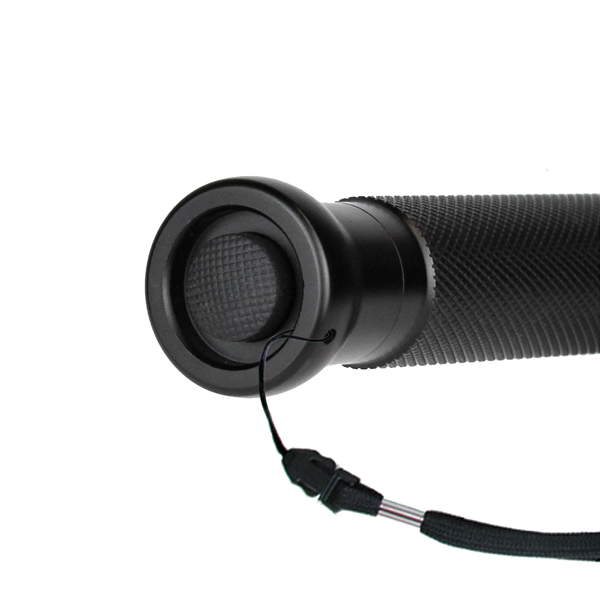 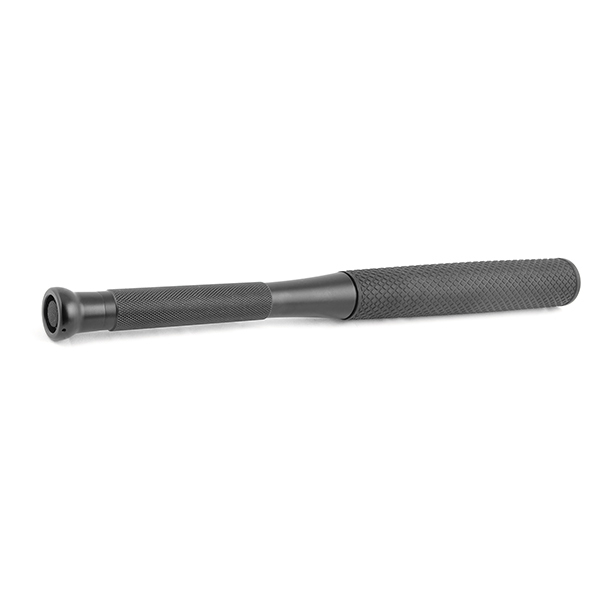 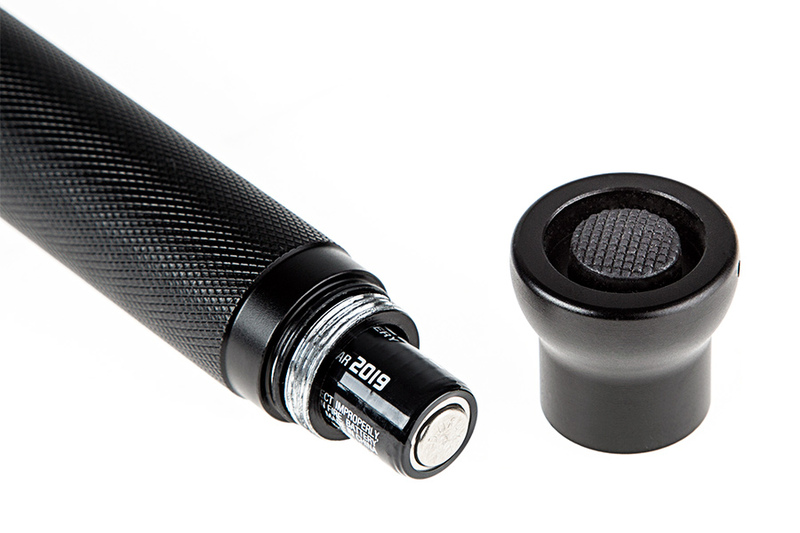 The iPROTEC™ BAT Light™ is a multi-mode tactical flashlight and protection device in a sleek, anodized aircraft grade aluminum housing. 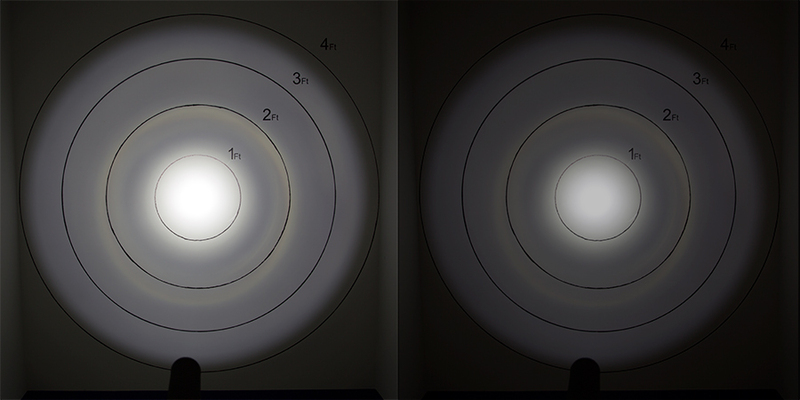 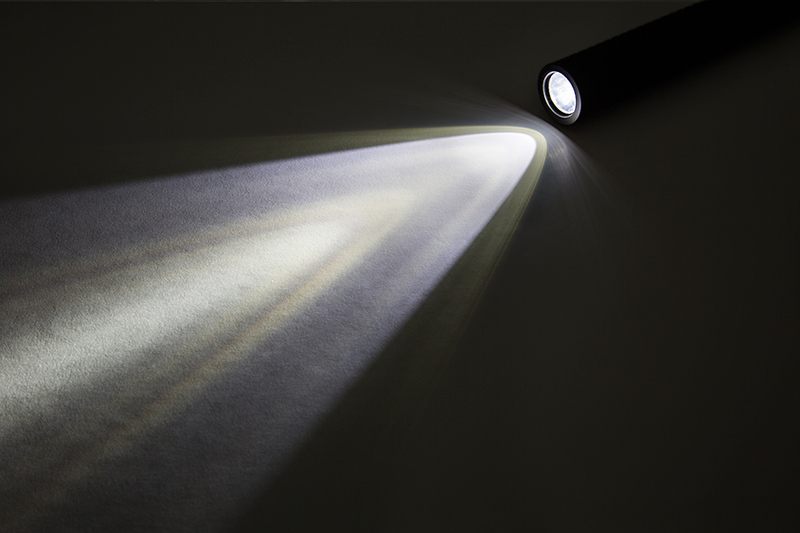 The high-powered light produces 1,000 lumens of bright white light, which will cause temporary blindness when viewed directly. 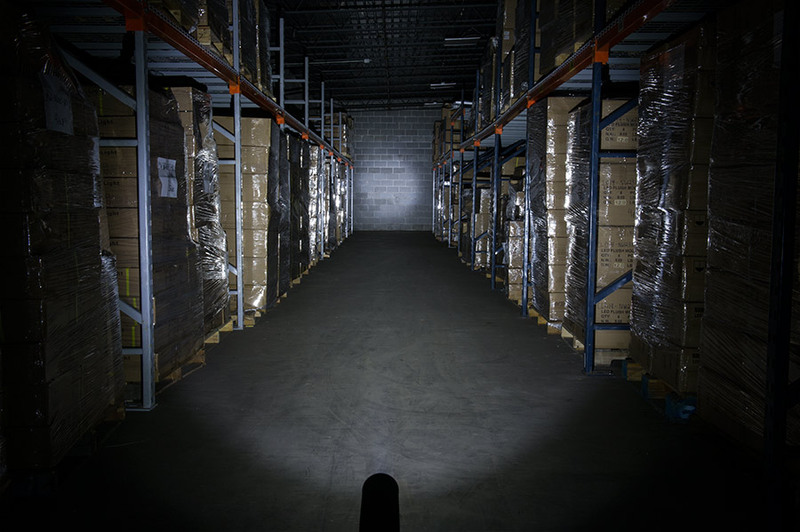 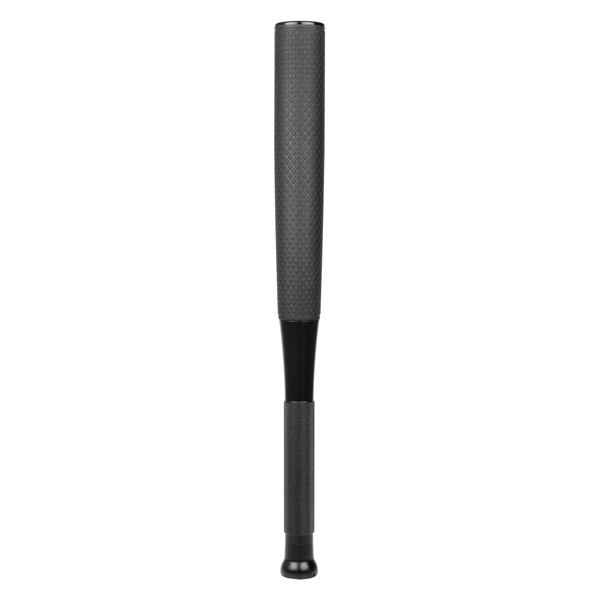 The BAT Light™ has 3 operational light modes: click the power button once for 100% light which produces 1,000 lumens; click twice for 50% light for 400 lumens; click three times for defensive strobe mode at a stunning 1,000 lumens. 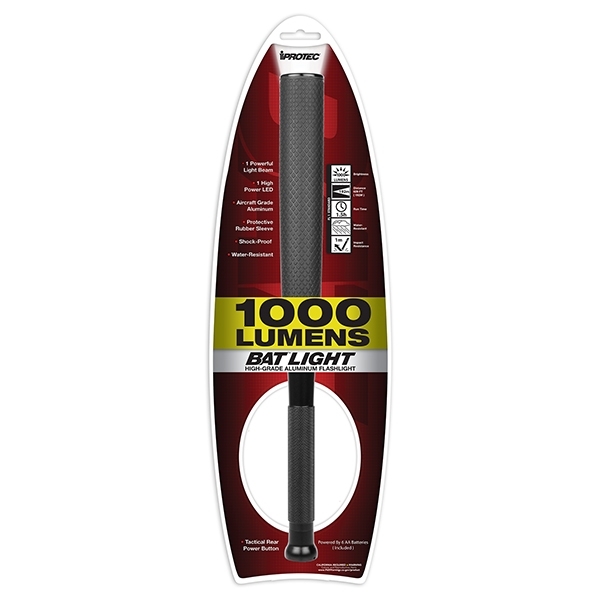 The BAT Light™ features up to 8 hours of continuous illumination, and has an impact and water-resistant body. 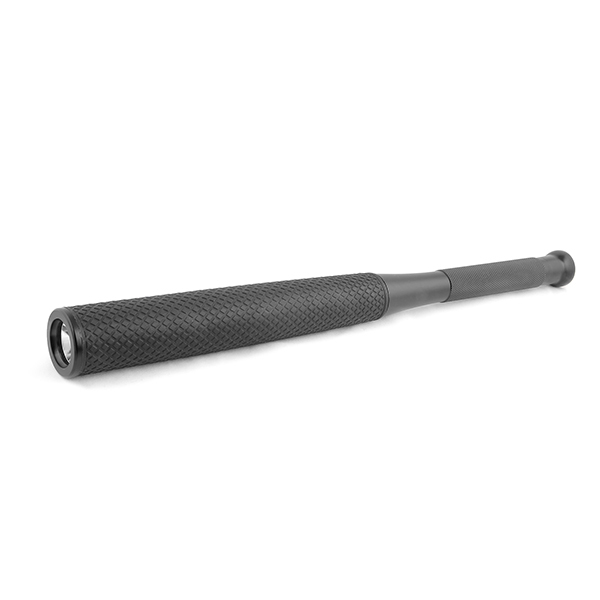 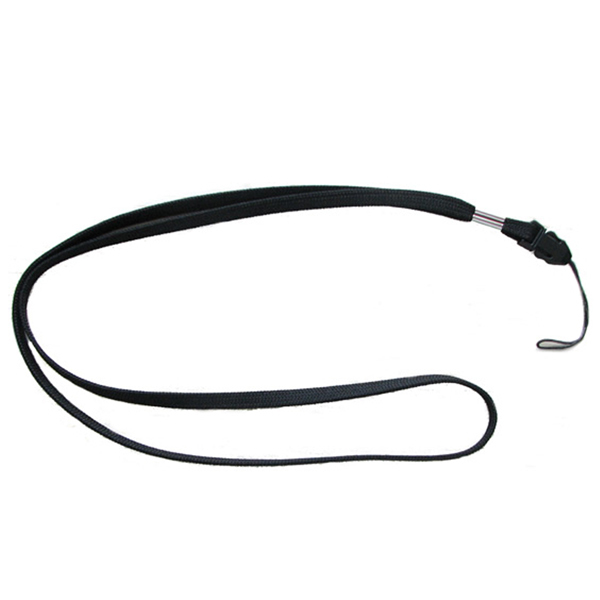 Ideal for military, law enforcement, and self-defense.